Subprime lenders generally may not identify themselves as such. 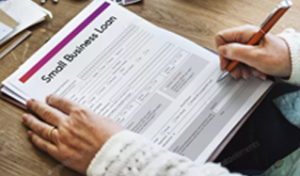 Although some are independent lenders, this type of loan can often be secured by a division of a mainstream lender set up under another designation. Consequently, you may seek a subprime loan through a local bank or mortgage company. Only about 15% of borrowers are in the subprime category, with credit scores less than 620, and a need to borrow 95% or more of the property’s value. These borrowers may be reluctant to reveal their assets or verify their income. Subprime mortgages have become increasingly more difficult to find, and rates have been rising because of the large number of loans that are in default. Lenders are now asking for higher credit scores and larger down payments. If your credit status warrants a subprime loan, be prepared to pay higher rates. It might be a good idea to contact an institution that offers both prime and subprime loans, on the chance that they may offer prime terms if, for example, the loan will be for a primary residence. A lot depends upon the purpose of the loan and the borrowers circumstances. A large down payment on a property, amount of current debt, income and assets are all taken into consideration by the lender. Subprime rates are higher the lower your credit score and the smaller the down payment on the property. Rates are higher because a greater percentage of subprime loans go into default. In many cases where the loan does not default, it is prepaid, and many subprime contracts have prepayment clauses. Insurance and escrow of taxes which are required in the prime market are not often asked for in the subprime market. Sometimes it is difficult for a borrower to determine if he qualifies for a prime rate loan. For this reason it is always wise to check first with more than one prime lender (a mainstream institution like a bank, or a well-established mortgage company).